During the summer, you and your family rely on your air conditioner for the comfort and security that you expect and deserve in your home. 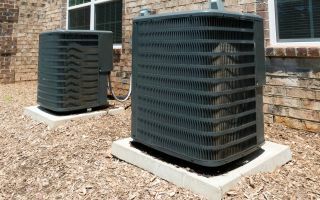 If your air conditioner is aging, inefficient, or in need of constant repairs, it may be time to replace the system. Whenever you make a major change to your HVAC system, it is important to consult with a professionally licensed expert. At Precision HVAC, our Saugerties air conditioning contractors are here to assist you with the effort. Our professionals have the knowledge, skill, and experience necessary to help you make the absolute most out of your air conditioning installation project. Our locally owned and operated business holds our customers in the highest level of esteem. In every service that we provide, our AC technicians work their hardest to achieve all of our client's unique comfort goals. We will bring this dedication to excellence to task for you during your air conditioning installation project. Call Precision HVAC today if you need to hire a professionally licensed air conditioning contractor in Saugerties. Our courteous, polite, and dedicated staff would be happy to take your call, to answer any of your questions and to schedule your appointment today. Together, we can select and install an air conditioner that will provide for your family's needs for years to come. If you have a central air system in your property, it is important to ensure that your ductwork is in the best condition possible. If your air ducts are dirty, clogged, leaky, or obstructed, you will lose a great deal of energy during normal AC operation. In order to operate efficiently and effectively, there are certain conditions that must be precise while your air conditioner is running. Both airflow and refrigerant levels must meet exact manufacturer specifications. When you hire our professionals to assist you with your air conditioning installation, we will guide you through the entire selection and installation process. You can feel confident knowing that your new system will provide for all your needs in the most efficient, effective, and reliable manner well into the future. If you need to hire a professionally licensed air conditioning contractor in Saugerties who specializes in air conditioning installations, call Precision HVAC today at 845-399-0669, or fill out our online request form.